We kicked off the New Year 1-0 yesterday with the Capitals finding the back of the net with 12 seconds left in the Winter Classic, defeating Chicago 3-2. 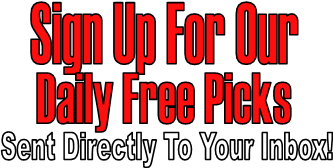 We have one system pick tonight, and since we have just one pick today it is reserved for members only. You will also receive the rest of our picks and bonus system picks for the rest of the season, including playoffs. Canada must win by at least 5 goals for a winner.